Today, the Consumer Financial Protection Bureau (CFPB) took action against the Texas-based financial services company ACE Cash Express. The agency found that the company employed abusive and illegal tactics to collect debts and trap borrowers into a cycle of debt. ACE will pay $5 million in refunds to borrowers and $5 million in fines. We are gratified that the Consumer Financial Protection Bureau is using its supervisory authority to take enforcement action against abusive, predatory lenders. Today's development is especially good news for all the consumers struggling to escape the debt trap that payday lending creates. 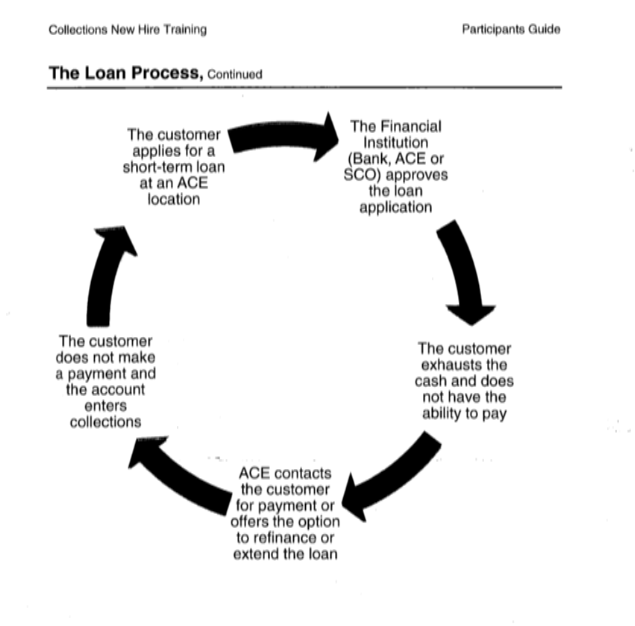 This enforcement action also confirms what our research found long ago: payday lenders depend on keeping vulnerable consumers trapped in an endless cycle of debt of 300-400% interest loans - the employee training manual provided by ACE is an explicit picture and instruction manual of the debt trap which research and consumers' experiences have shown time and time again. It's real, it's abusive, and it's time to stop. CRL research shows that the payday lending drains $3.4 billion a year nationally. This is why we applaud the CFPB for its action against ACE – one of the largest payday lenders in the country. We hope that today's news is followed by strong, effective regulation that protects all families from abusive payday loans.